Sorry…having to publish this one twice. I tried to use the shortcut new-post thingy and got it so, so wrong. Going back to the tried and true for this one. 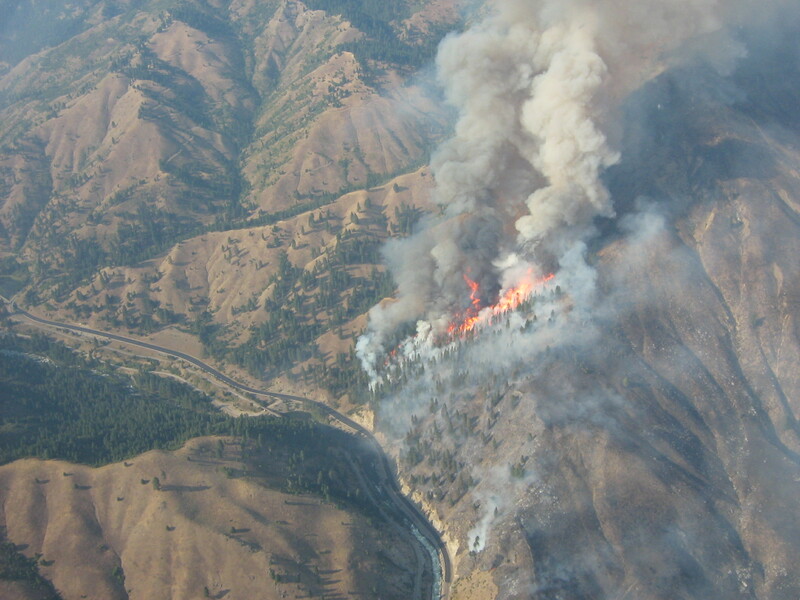 Here’s an aerial view from InciWeb (fabulous wildfire website) You can see the highway snaking along just below the fire. Thanks Dia for sharing!! Scarey!! It’s not often that I am this relieved to be living in the heart of the city. I feel for those living near Pine and Featherville, or the poor folks in Cleelum (?) Washington. I watched footage of people turning their horses loose for lack of a better option. I can’t even imagine.